Trimont was engaged by a major global investment bank to provide asset management and servicing on $700 million of securitized senior loans and subordinate loans. 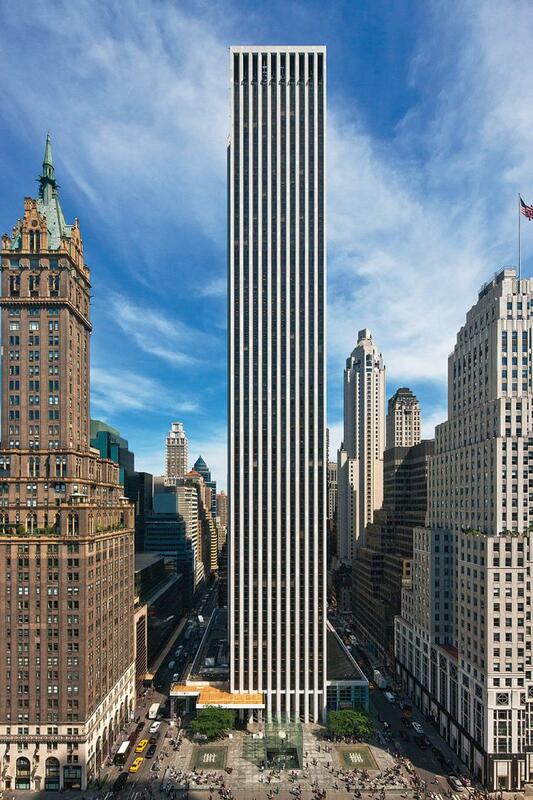 The General Motors building is a 50-story office tower facing Fifth Avenue at 59th Street. The building is one of the few structures in Manhattan that occupies a full city block. Built in 1958, the building originally featured a street-level lobby that functioned as a showroom for the vehicles of General Motors (although now the lobby is the home of FAO Schwarz’s flagship toy store). General Motors built the GM building as its New York headquarters, but after competitive threats piled up, the automaker mortgaged the building to raise cash in the early 1980s and then sold it in 1991 for approximately $500 million. The flagship Apple Store, which is located in the building, has a 32 ft by 32 ft glass cube, likened to the Louvre Pyramid, at the entrance. The flat roof on the building is in the shape of GM’s Chevy emblem.